Skye Gravestones | D. Mackenzie. 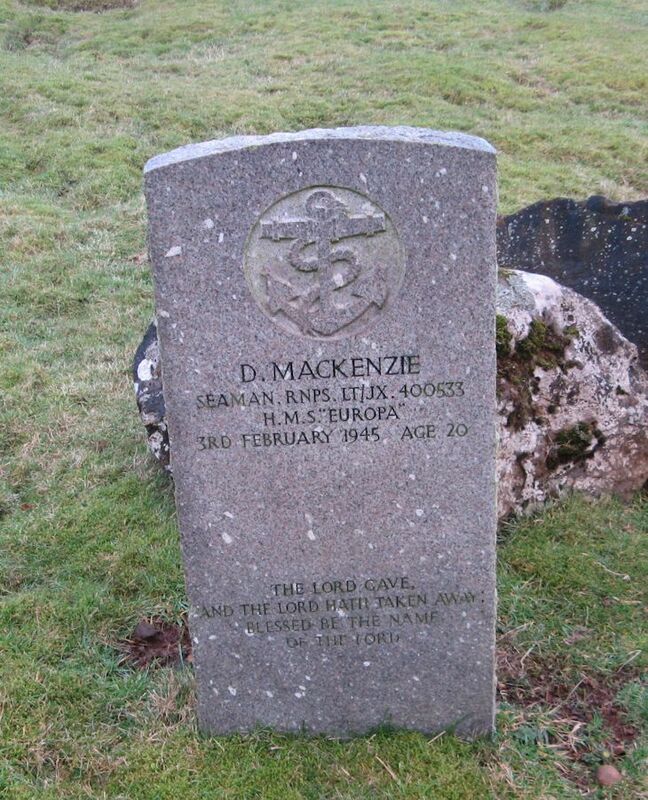 D. MACKENZIE/Seaman RNPS LT/JX. 400533/H.M.S. "Europa"/3rd February 1945 age 20. The Lord gave/and the Lord hath taken away/blessed be the name/of the Lord.